Christmas is the day to spread the happiness all around. Decorate a conifer tree with lovely tree toppers, beautiful bells, and other decoration materials. The lovely tree ornaments will complete the beauty of a conifer tree. Winni offers you a complete combo of tree decoration items so that you don't need to hop to other places. A well decorated Xmas tree will catch the attention of all and win the hearts of viewers. Every color has its own importance and shows different tradition. The color combination of these ornaments completes the meaning of Xmas tree. 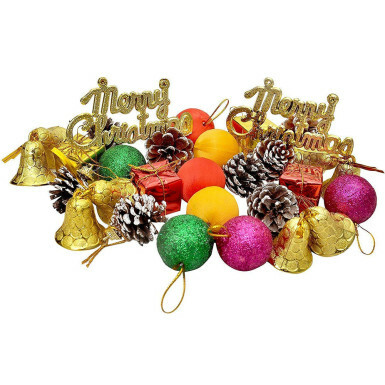 So, place your order for this Christmas Decorative Items right now and get it delivered at your doorstep.